We know, we know…We’ve told you about the 2014 Honda CR-V before. We’re sorry, but we just can’t get enough. There’s a reason we keep bragging: It’s just so awesome. With features like a rearview/multi-angle backup camera, intuitive infotainment system, and the ability to read your incoming text messages to you, it’s hard not to brag. It’s no wonder the CR-V is one of Honda’s most popular vehicles! And it just keeps getting better with more technology to get our drivers super excited. We know there are a lot of visual learners out there, so check out this video. 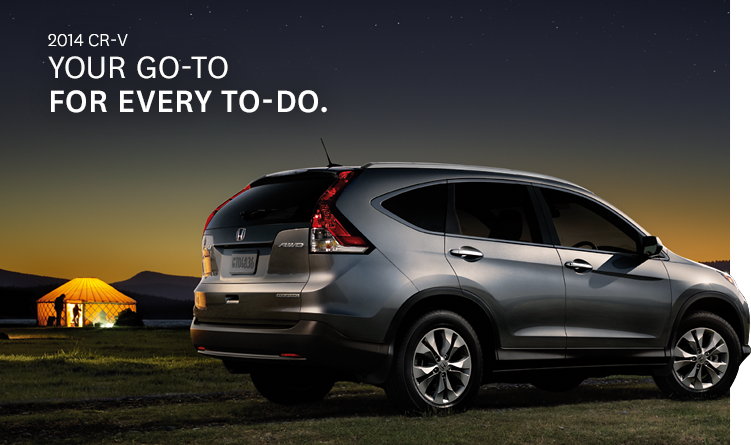 Adventure is calling and what better vehicle to take on the world than the 2014 Honda CR-V?